De novo or reference based OTU-clustering of 16S-, 18S-, and ITS rRNA data. Support for common taxonomy databases Greengenes, Silva, and UNITE, as well as custom databases. Determine with high precision absolute and relative abundance of microbes in metagenomics samples. Filter out data contamination originating from host DNA. Users who wish to use CosmosID highly curated reference databases can use the CosmosID plugin for microbiome profiling. 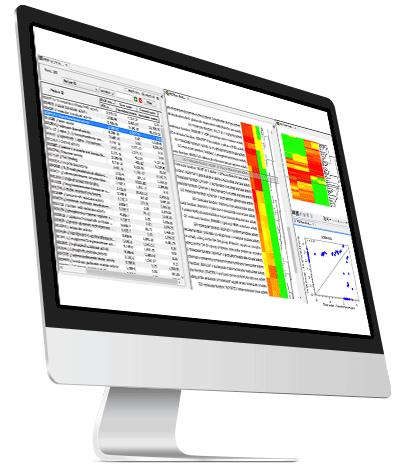 Assemble and annotate whole metagenome data sets with class leading accuracy and performance. Functional profiling using PFAM, Gene Ontology, BLAST and DIAMOND. 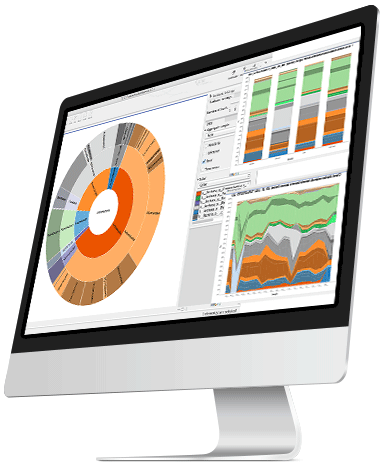 Stacked bar charts, area charts and zoomable sunburst diagrams can be used to explore and compare both, the taxonomic and functional composition of metagenomic samples. User-friendly Diversity Analysis tools for Alpha- and Beta diversity estimation for comparing diversity and compositional similarity between samples. Principal Coordinate Analysis (PCoA) plots in 2D and 3D and HeatMaps cluster samples based on microbiome composition. Run PERMANOVA analysis to assess statistical support for clustering. Merge abundance tables for direct comparison of diversity metrics across samples. Explore the taxa or gene function that vary most across sample categories. Use state of the art multifactorial differential abundance analysis to measure fold change, estimate statistical significance and explore correlations between sample categories. Graphing and statistical testing leverages sample metadata. Direct import of Bacteria, Archaea, Virus, Fungi, and Protozoa reference genomes from NCBI’s broad collection of microbial content. A table provides an overview of covered taxonomic range, assembly status and size of included genomes. 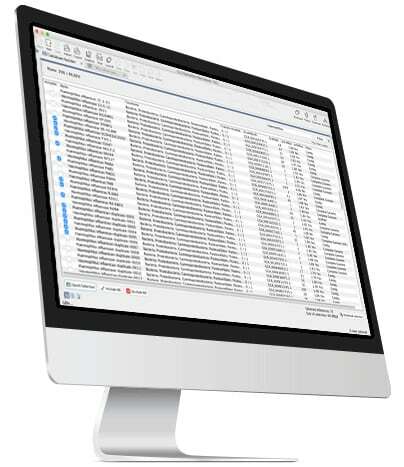 With filters for taxonomy and assembly-quality, database contents can be optimised by the user. Remove low quality assemblies for higher confidence taxonomic assignments. Minimise computer resources and analysis time by reducing redundancy of database entries. Monitor predicted file size of database during the design, before the download begins. Download deep databases of pathogen specific reference genomes from NCBI RefSeq of the NCBI Pathogen Detection Project. Preconfigured, but customisable, Workflows streamline learning and running microbial bioinformatics analysis. 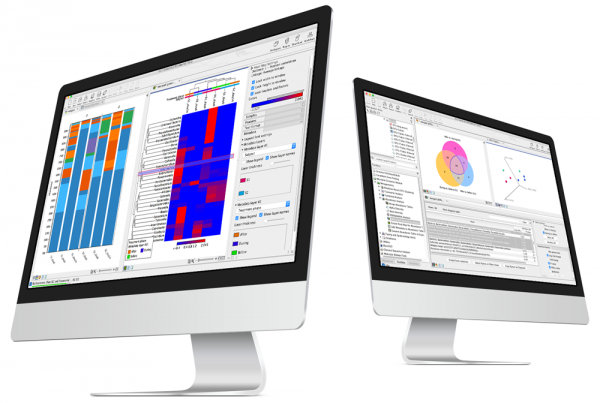 Users are guided from raw NGS reads to fully interactive visual results in just a few steps.